With Peter Alonso mashing in Double-A Binghamton, Dom Smith’s future with the Mets has been quite the divisive topic recently. BP Mets prospect writer Alex Rosen and I sat down to talk Smith’s future role with the organization and what his present value may be. 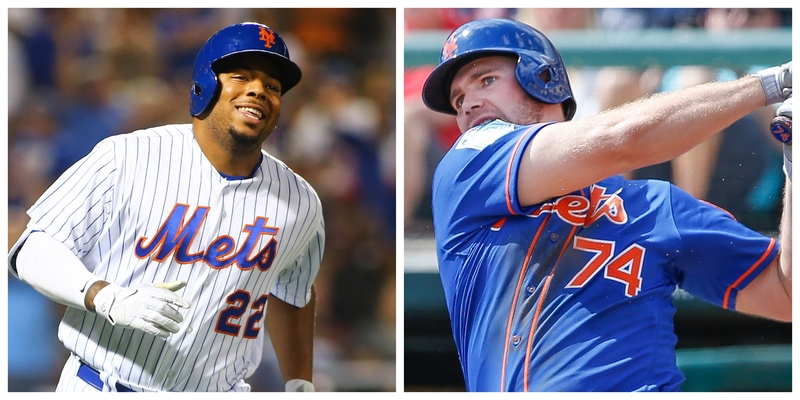 T: Where do you stand on Dom Smith? A: I think Dom Smith can be a major league contributor for someone, but he’s a first baseman who hits for average. He’s probably a guy who you have to platoon at first base. T: What we’ve seen in the minors doesn’t really translate to major league pitching. He had nine home runs in 67 at-bats after having 42 home runs in about 2100 at-bats. Being a left-handed first baseman, it seems like he may be the type of player who changes approach at the plate in majors, as seen by his short stint last year. A: So at peak, how many home runs does he hit in a full season? T: If he reaches his full potential, which I don’t know how good that is anymore, probably 20-25. Hard to say. Initially, he was projected to hit for a .300-plus average with 15-20 home runs. A: Right, he’s always been hit tool above power. T: His value has decreased significantly after the way the Mets handled him last year, and especially after the acquisition of Adrian Gonzalez. A: At this point, I don’t think he’s going to get an opportunity to be an everyday guy at first for the Mets. I think his best season is going to come in a platoon role where he’s just hitting righties. At his peak, I think it looks something like .275/.340/.440 – right around 20 home runs. Obviously, it’s hard to project future power output right now. Look at Ozzie Albies, who went from hitting 22 home runs in over 1,500 minor league at-bats to hitting 12 in 167 at-bats this season. I think it’d be naïve to think he wouldn’t get some sort of spike. He’s up now and this may be harsh, because the Mets and Smith have participated in this equally, but he if he doesn’t perform here, Peter Alonso is getting the next chance. T: This window that Smith now has, his next sample size may be his last chance to be a contributing Met due to the presence of Alonso. I have zero problem with that – Alonso is the real deal in terms of hitting. T: I don’t know if I totally agree with that, but he’s almost certainly not the prime Eric Hosmer-type three hitter they wanted him to be. A: I wrote about this in my scouting notes when I mentioned him. He needs to have really good pitch recognition and approach to make this profile work, and I think he has that, but the swing isn’t great – there are a lot of moving parts, he’s got slow hands to the bat and its not like he’s going to be able to punish mistakes inside over the wall. There is really no margin for error with Smith. Same with Alonso, he provides no value on defense, has no speed and plays first base. T: But I think we agree that projecting Alonso as a number three-type first base bat is quite reasonable. A: At this point, yes. Alonso’s made real improvements to the swing that allows him to make more contact and get to his 70 raw power more easily. There’s a significant step from Triple-A to major league pitching and we saw that in Smith’s performance last season. Organizations give guys like Keon Broxton a bunch of chances because they offer skills beyond their hitting ability. As first base only guys, Alonso and Smith don’t have much else to offer. T: I know this may sound premature, but from a help-the-team right now point of view, I would have no problem if they called up Alonso over Smith right now. Gonzalez and Wilmer Flores are providing close to nothing at a premium offensive position. A: I think we both think Alonso over Smith at this point. I mentioned this on the podcast with Jeffrey and Jarrett, but Alonso should probably get a Michael Conforto call-up and skip Triple-A. If the Mets are really high on the bat like we think they are and see the swing changes that we do – then let’s go, let’s stop letting him toil away and improve the major league club. T: What do we think Dom Smith’s trade value is after all of this? A: Let me begin by saying this, I think it’s pretty telling that the Mets are running Gonzalez (.751 OPS) out there every day even though Smith is already on the 40-man. The Mets believed in Smith enough to draft him in the first round and have soured on him to the point that they truly don’t think he’s good enough to be an upgrade for them. Other clubs obviously know this and I can’t see the Mets getting anything of substantial value in a potential Smith deal. T: I still think you can get a serviceable MLB catcher. Someone better than Devin Mesoraco and worse than Wilson Ramos and maybe a mid-level prospect. A: We both agree he couldn’t headline a JT Realmuto deal. Jon Heyman keeps throwing out they want Realmuto and Smith’s name has been floated as part of a potential package, but the Mets just don’t have the prospects to get a deal done with the Marlins. T: I think the Mets would have to give up Smith in that deal. A: I disagree. I think if the Marlins wanted a first baseman, they’d insist on Alonso – Realmuto is a four WAR catcher. T: Yeah, Realmuto is great – it’s tough to say just how high Jeter and Co. view him. A: It’s hard to find a team that would take a chance on Smith at this point. If the Mets, who own the prospect, don’t value him highly and can’t find a spot for him at what’s been a mediocre position for them, what other team will? T: I think they destroyed his trade value. I mean, he didn’t help himself last year either but by getting Adrian Gonzalez, they said they don’t think he’s ready to contribute yet again. So, to wrap up my thoughts: I certainly have Alonso over Smith at this point, because the Mets did a bad job managing Dom and his approach last year. I think he could bring back a decent catcher and a low-mid level prospect. A: Well look, what are they doing wasting their time with him in the majors right now? I don’t think his trade value is high enough, but if they could get someone like Ramos I would do it and just cut bait with him. If Alonso comes up and hits, then Smith is going to be in Triple-A for the rest of his Mets career. I think they’re probably too stubborn to trade him for nothing. If they could get a lottery ticket type or two, think Gerson Bautista, I’d be okay with that. T: So could they get a catcher for him? A: I think it’s possible. T: Also, with Smith up, they still aren’t starting him. A: They should have just brought up Phil Evans who has versatility. So they’re going to sit Smith on the bench, while Gonzalez hits clean up. It’s a head-scratching move for a team that’s made quite a couple this past week. T: If Smith went one-for-eight in the time he was up, what was that going to do? But since he was up just to pinch-hit once, I don’t understand it. I guess we’ll see what happens, but Peter Alonso is looking like the first baseman of the future with each day.